Evening! A great array of music sourced from a couple of Aussie-related compilations and some really interesting international & local acts tonight. LISTEN AGAIN because if not now, when? You can always stream on demand via FBi’s website, or podcast here. Sydney area’s m. rocket (aka Mannheim Rocket, proprietor of 3bs records), has a new cassette coming out soon in which lo-fi digital audio software (on iPad no less) meets the very lo-fi hiss of the cassette. Even if you listen on digital you’ll be swamped by the hiss as samples of Cio-Cio San and Donna Summer are stretched into whispy tendrils. It’s quite haunting. On the flipside, Klangberg further reworks these sounds into something even dronier. Sydney’s Feral Media label have been putting together their Strain of Origin comps for quite a few years – originally in collaboration with (or versus) Brisbane’s Lofly label, but they’ve carried on after the latter label closed up shop. They’re a showcase for Aussie artists from all around the country to both remix and be remixed – each artist playing both roles, although never directly each other. There are a number of really strong tracks this time round, but I was really happy to hear a great take by Canberran producer Aphir on one of Rebel Yell‘s successful singles from last year. Equally awesome is another Canberran, Reuben Ingall‘s version of one of my favourite techno tracks from last year, by Sydney’s Hence Therefore. When my band Tangents were invited, I jumped at the chance to remix Reuben, although most of the heavy lifting was done by our laptoppiste Ollie Bown. Reuben Ingall also turns up on the epically awesome new compilation from Jakarta-based, Australian-run Tandem Tapes. TT020 is For Headspace #1, a digital compilation that runs over 4 hours, with 50 tracks from noise to experimental electronic to folk to droney indie to even breakcore. As well as Reuben, label boss Morgan McKellar has pulled in a whole lot of other Aussie talent (including himself as Bright Sea, who we’ll hear next week! ), and I played Tangents member Shoeb Ahmad with a gorgeous bit of indiedrone(?) with a female vocal in this version. Portland, Oregon band die geister beschwören contribute a piece of beautiful experimental folk while Indonesian breakcore artist Individual Distortion gives us a short, sharp shock. And now we come to a big artist-in-focus for tonight, with the incomparable & versatile Italian percussionist Andrea Belfi. He’s built up a sizeable list of impressive collaborations over the years, with folks like Carla Bozulich, David Grubbs, Mike Watt, Machinefabriek and many Italian experimental luminaries. Solo, he creates slow-evolving pieces in which his motorik percussion tends to be juxtaposed with wobbling, warbling electronic tones and pedal bass. It’s mysterious and immersive music which I can’t get enough of. He’s put out releases through many labels including Brisbane’s ROOM40, and earlier this year from French visual/audio publisher IIKKI. His new album Ore is released in various physical & digital formats by new UK label Float, run by Sofia Ilyas, who did PR for many years for Erased Tapes. They’re definitely off to a good start. Thanks to Heli Newton for sitting in last week and playing a great selection too! LISTEN AGAIN because variety is the spice of life. Stream on demand as always from FBi, podcast here. Back in 2014 the infamous 7/8 breakcore artist Venetian Snares released an album through his frequent label Planet µ as part of a duo called Poemss. Unusually for Aaron Funk it was not abrasive or breakneck at all (although it still had some unorthodox time signatures). It actually features a lot of great electronic pop songs, and while Funk does sing in his bass baritone, it’s his Toronto-based collaborator Joanne Pollock who’s responsible for a lot of the great songwriting. So it’s lovely to have a new solo album from Pollock, released by Snares’ TIMESIG label, an imprint of Planet µ. The production has a lot of the hallmarks of Snares’ instruments and programming – Pollock’s learnt well from her partner. But the songwriting is assured, emotional and really suits the electronic setting. Sometime last year, Gudrun Gut‘s Monika Enterprise label convened a Werkstatt (workshop) for 10 brilliant female electronic musicians in the countryside near Germany. The double LP they’ve released out of those sessions is jam-packed with great music, all of it credited either to the Werkstatt or to individual artists in collaboration with the Werkstatt. Barbara Morgenstern has been pivotal in the Berlin electronic scene for decades, and contributes a beauty of a chanting song, while our second sampler comes from Gudrun Gut collaborator Beate Bartel, a *ahem* slow-burner called “Feuerland” with whispery vocals whipping around a mysterious sound setting, while the group work has an ambient jazz-fusion feel to it. With artists like AGF, Lucrecia Dalt, Islaja and many others, you know it’s going to be fantastic, and indeed it is. I’ve been following the wonderful Argentinian artist Juana Molina since the early days of this very radio show. Domino re-released a couple of her earlier albums for the first time outside of Argentinia and I remember being struck by this unusual and inventive take on Latin American musical themes. Along with the guitars and vocals, and the familiar swaying, syncopated rhythms, come warbling synths, and the vocals and instruments are looped and layered in unusual ways. She’s totally idiosyncratic and just does what she wants, and I love it. Jaimie Branch’s fantastic ensemble unusually features a cellist in its lineup, and I’m always excited to discover new cellists. Tomeka Reid also plays in the jazz string ensemble Hear In Now, whose second album has just been released, following Branch’s on International Anthem. Featuring Mazz Swift on violin and Silvia Bolognesi on double bass, it’s an egalitarian ensemble in which all musicians contribute compositions as well as improvising as a group. Their classical backgrounds are present, but so are their virtuoso talents in the jazz idiom. There aren’t a lot of jazz string trios around (Masada String Trio comes to mind) and this is exciting and beautiful stuff. Sticking with the strings, Montréal violinist Jessica Moss plays violin in Thee Silver Mt. Zion etc (like cellist Becky Foon whose solo album we heard recently), as well as having played with Carla Bozulich‘s Evangelista and various other ensembles. We haven’t heard much of her solo music before, but this album is thrilling – two longform pieces based around looped violin and vocals, with spooky effects, slow-growing drones and layers. I was pretty excited to hear a couple of months ago that French sound artist Bérangère Maximin has a new album coming out. She’s a master of combining acousmatic, musique concrète sound manipulation, glitchy sound processing and more straightforward musical practices, along with some spoken and half-sung vocal contributions on occasion. Since 2008 she’s released beguiling, creepy, strange music through a number of labels, mostly on her own, although the No one is an island album saw her working with experimental guitarists Frédéric D Oberland, Richard Pinhas and Christian Fennesz along with avant-garde trumpeter Rhys Chatham – giants of experimental music. She easily holds her own, and indeed to me these are the best recent works Fennesz has been involved with. The new album is as good as anything she’s done. Evening! Electronic sounds of many types tonight, focusing (but not exclusively!) on the analogue. LISTEN AGAIN for the for an alien travelogue of your dreams… stream on demand at FBi Radio, podcast here. Starting tonight with the unique sound of Stockholm’s Roll the Dice. Since 2010 they’ve been peddling their mix of analogue synths’ krautrocky chug and acoustic piano – I always particularly loved how the rhythmic piano takes over at the end of the almost Kraftwerkian “See You Monday” from their second album. There’s a certain interest in the industrial age (that title being a reference to returning to work) but also, through member Malcolm Pardon‘s other job making music for film, a soundtracky expansiveness and evocativeness. The other half is Peder Mannerfelt, whose excellent label has released music from Klara Lewis and various other female Swedish electronic producers, and whose grasp of how to twist dancefloor expectations is second to none. Recently, Peder collaborated with Hodge, a central figure in the contemporary bass/techno scene in Bristol, on an excellent EP of uncategorizable club music. Meanwhile, Hodge turns up with Livity Sound compadre Peverelist remixing dub techno legends Leftfield, whose massive first album Leftism just got a 22-year anniversary remaster & reissue with its 11 tracks remixed to make up 22 tracks. A slight swerve on the dancefloor next takes us into drum’n’bass territory, albeit with a tribal/techno/bass movement to it. Samurai Music‘s Shiro sublabel was formed to release emerging artists on vinyl for the first time, and here we have Torn, a dark d’n’b producer from Russia, which is the centre of quite a bit of interesting dance music across plenty of genres. Given how big breakcore was there back in the day, it shouldn’t be too surprising, but there’s some really quality stuff coming out of Russia these days. Polish producer Lutto Lento is no stranger to the weirder edges of the dancefloor, and a lot of his stuff is more on the house tip, but his latest LP from the ever-reliable Where To Now?Records takes in a bewildering mishmash of beat programming styles and lots of utterly bent sampladelica. There’s a junglist tone around the edges too, just for the segue, and a strong influence from dancehall here. 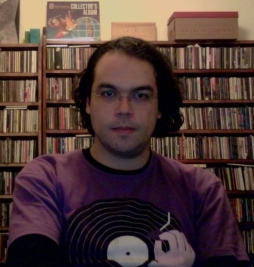 Producer Ludomir Grzelak also composes for theatre and dance. Darrel Fitton has been releasing his melodic, crunchy electronica since 1994, briefly under his own name but for most of his career as Bola. Although he appeared on Warp‘s second Artificial Intelligence comp, he’s been closely associated with Manchester’s legendary Skam label since its inception. In fact he was integrally involved in the second release from the label, the very first EP from Autechre side project Gescom – and while many Gescom releases can be attributed mostly to Autechre, this first EP is one of plenty where their collaborators’ work is clear as day. Bola’s talent for creating warm, classic synth sounds in both the analogue & digital realms is endless, and he’s one of the most melodically & harmonically talented of the original idm producers. Last week on the show I played an amazing collaboration between Berlin-based double bass player & sound artist Yair Elazar Glotman and Swedish producer Mats Erlandsson. I went looking and found some great ambient-industrial releases from Erlandsson, including his latest for Posh Isolation, a tribute to the first female astronaut Valentina Tereshkova. These are rich and evocative sounds.